In which G.M. Norton enjoys a rip-roaring flick featuring stealing, steam trains, a sultry stunner and splendid stunts. 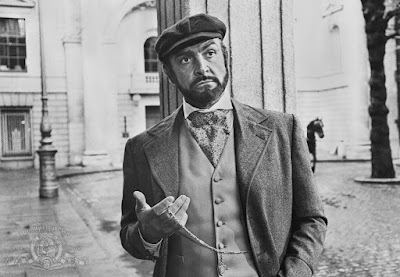 Last weekend, I was flicking through Netflix and came across The First Great Train Robbery, a 1978 crime caper starring Sean Connery. It looked fun so I decided to watch it. 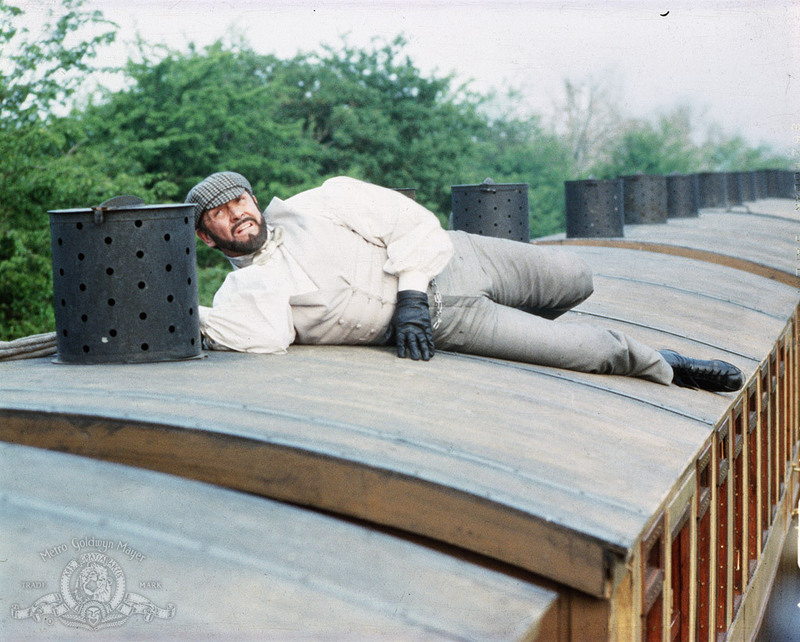 Set in the year 1855, it is about an attempt to steal £25,000 worth of gold bars from a moving train. The problem is, the gold is kept in two locked safes, that require four keys to open. Two of the keys are locked away by the station manager, and the remaining two keys are each entrusted with senior figures at the bank. Sean Connery plays Edward Pierce, the mastermind behind the so-called "impossible" heist. He's ably supported by Donald Sutherland as Agar, a pickpocket, and Lesley-Anne Down who plays the enchanting Miriam. Despite being Pierce's love interest, he has no qualms about using her womanly charms on other men, as part of the plan to steal the gold. 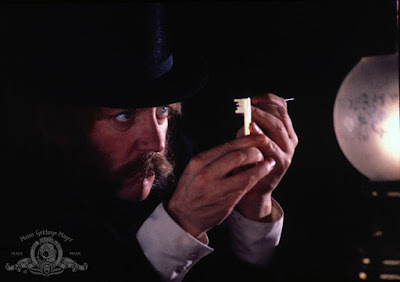 The main section of the film concentrates on the gang getting hold of the four keys so they can make copies and the final part shows the heist being carried out. I was really impressed with The First Great Train Robbery. It's fast paced, has some good humour and Connery, Sutherland and Down all seem to be having enormous fun hamming it up in this Victorian thriller. Keep an eye out for dancer Wayne Sleep who makes an appearance too. Drawing comparisons with other heist films The Thomas Crown Affair and The Italian Job, I thoroughly recommend. I vaguely remember this from childhood! I'd forgotten all about it. I do love a good train robbery.